RVSkin is a specialized cPanel theme that acts similar to the default Paper Lantern style. This provides a different layout of the available icons, offering a separate control through the RVSkin Manager within the WHM. How do I get RVSkin? *RVSkin can be installed on VPS and Dedicated accounts. The cost is $60 per year and includes installation. If RVSkin is available for your server you may contact us via %%CONTACT _LINKS%% for assistance with purchasing it. We can also provide assistance with the installation at your request. After the installation is complete, RVSkin will be enabled by default. You will be able to tweak and manage the RVSkin settings through the RVGlobalSoft Manager in your WHM. 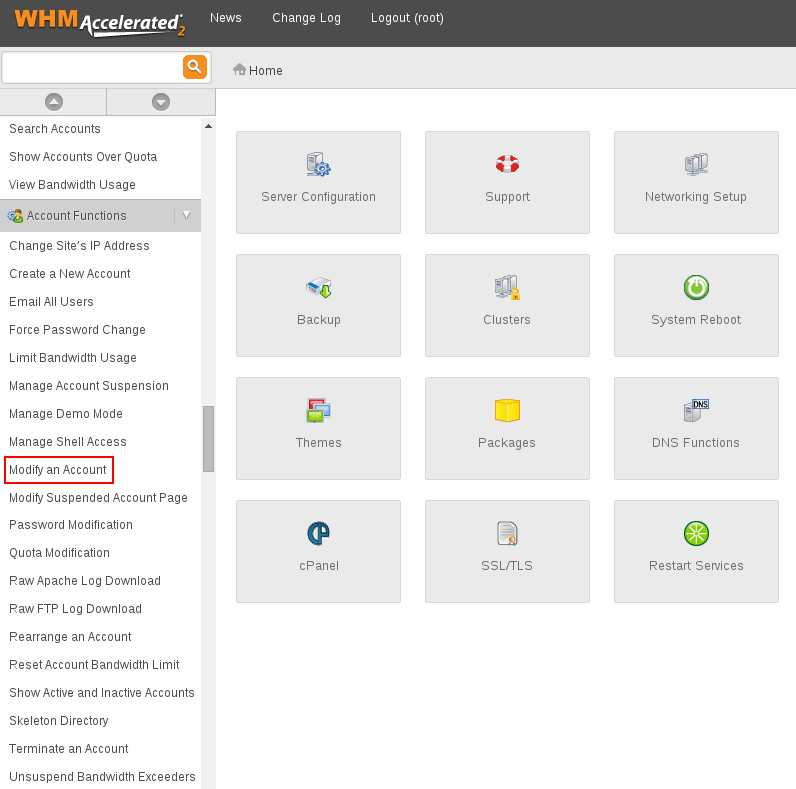 Multiple RVSkins will be available to choose from through the cPanel's Theme Selector labeled as RVSkin Changer in addition to the Modify an Account page inside the WHM. 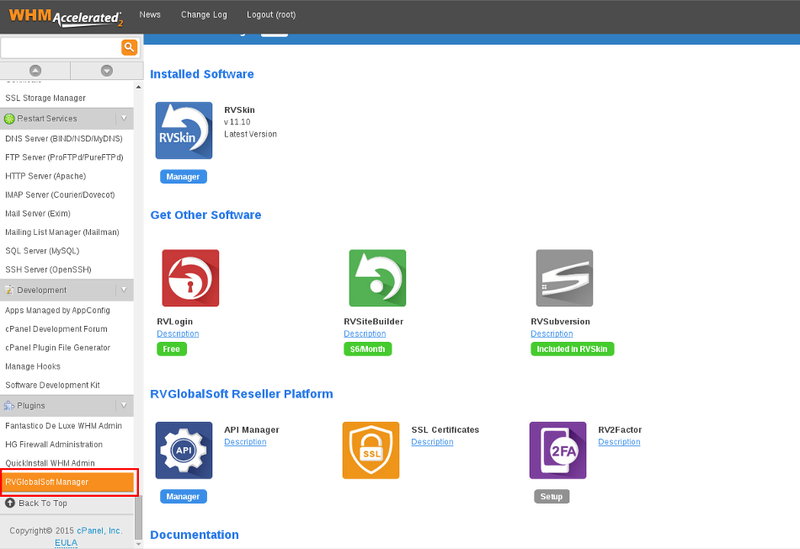 Inside the cPanel, choose the RVSkin Changer icon. Select the button below the rvskin you would like to use, then click on Change. The cPanel using the rvskin theme will then appear after a brief loading period. 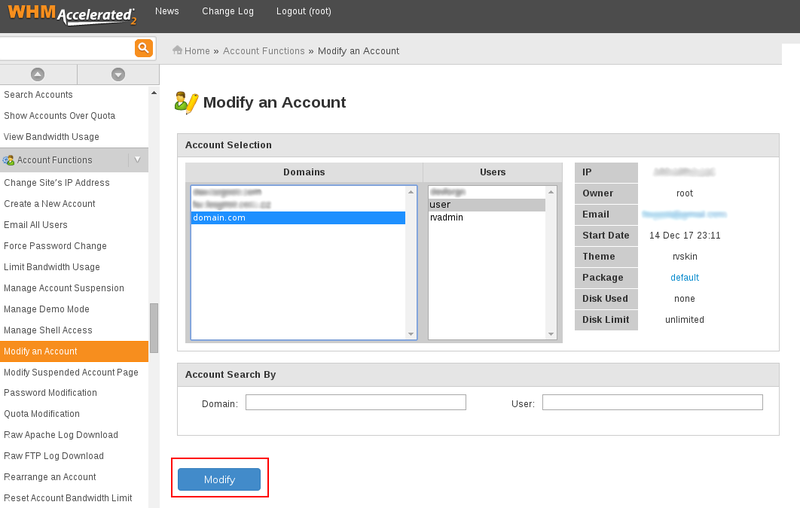 Locate and select Modify an Account from the left-hand panel. Choose the account you would like to set up rvskin for by selecting either the domain or username from the available list and click Modify. In the new page, locate the cPanel Theme and select the new rvskin style which you would like to use. Finally, scroll to the bottom of the page and press Save to apply your changes. 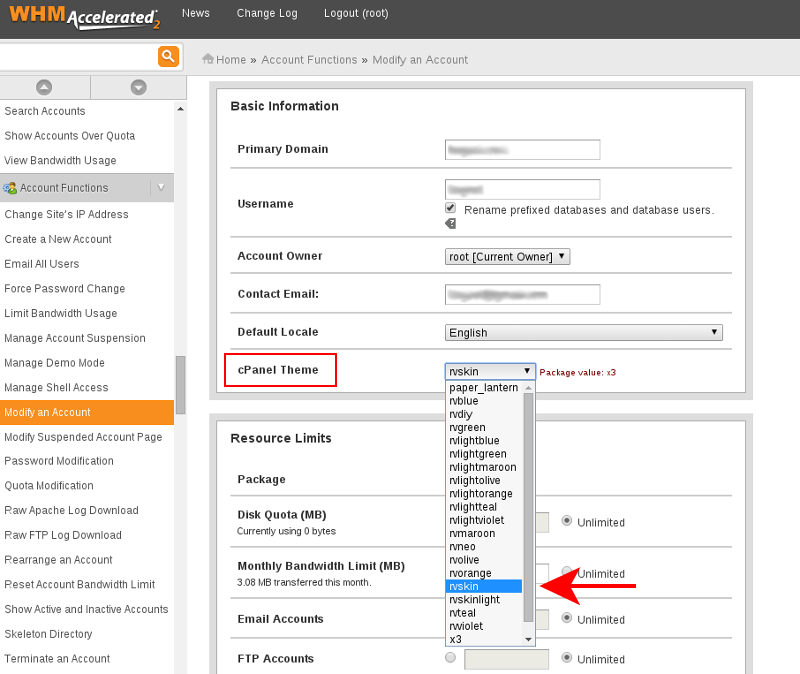 To change from the rvskin selection back to one of the cPanel defaults (Paper Lantern style), please follow the same steps as shown in Choosing the RVSkin through WHM. The theme must be changed through the WHM as the cPanel will no longer have the option to change to its default themes using the rvskin style. Please contact us via phone or Live Chat if you have any questions or require assistance.